Southern Shenandoah Valley Virginia is perfect for a leisurely road trip on country roads that offer beautiful scenery and unique town and country finds. Experience small town charm, tasty food and drink, impressive nature, and relaxing places to stay. 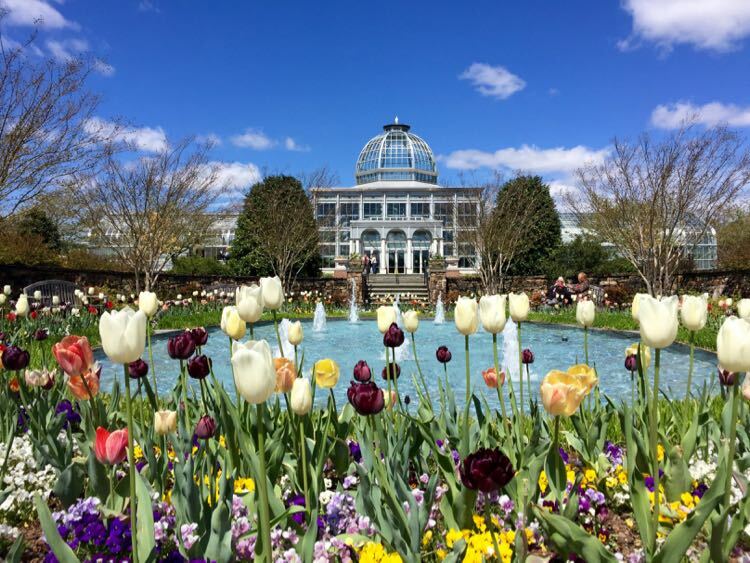 Just a few hours from Washington DC, but a world away when you leave the highway and explore roads less traveled, we recommend three to five days to explore the scenic southern Shenandoah Valley from Staunton and Waynesboro to Lexington, Virginia. 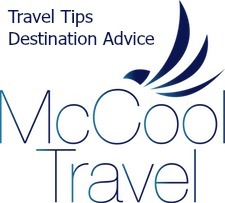 Or extend your trip further by adding the northern Shenandoah Valley area from Winchester to Harrisonburg. 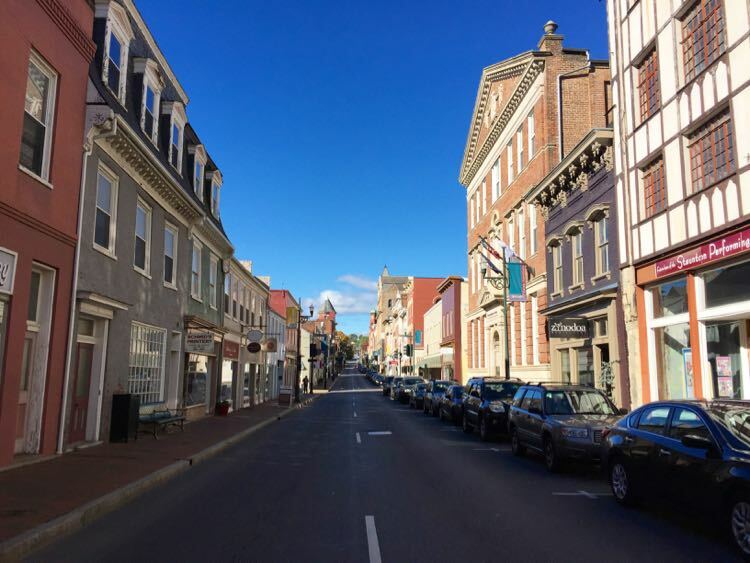 Staunton is full of surprises, packing a wide range of activities, dining, and history—including a world-renowned Shakespeare theater—into its compact downtown. The historic main street is lined with beautiful architecture and modern shops, making for a fascinating, walkable city. 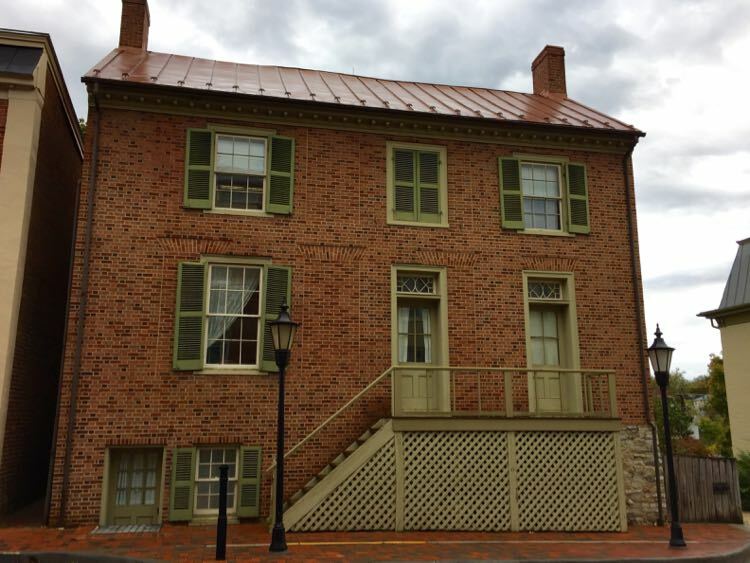 Explore the downtown area on a free Historic Staunton Foundation Architectural Walking Tour (wear comfortable shoes.) Our tour began near the Woodrow Wilson Presidential Library, and took a leisurely path to Trinity Church and it’s 12 Tiffany windows, at the other end of Main Street. 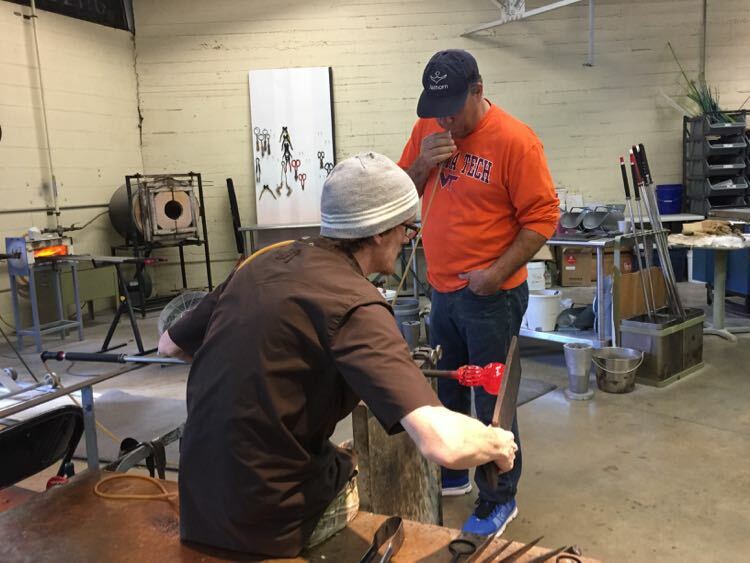 There are plenty of unique shops to visit in Staunton including Sunspots Studio where you can watch live, narrated glassblowing demonstrations. You can even join in and help blow your own glass masterpiece like pumpkins and ornaments, which can be picked up the next day or mailed to your home. The shop offers a beautiful collection of glass creations that make great gifts. 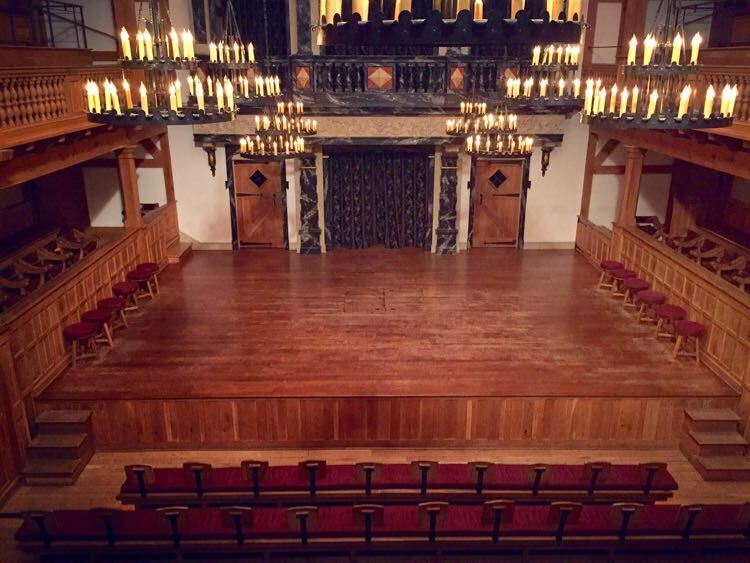 The American Shakespeare Center,the world’s only authentic recreation of the Blackfriars Theater, should be high on your to do list. The center draws audiences from around the globe to its excellent productions. The company’s motto—”we do it with the lights on”—reflects the authentic productions which forgo props and staging for an intimate and interactive experience. There are even a few seats on stage! Arrive a little early to enjoy music by the actors and to shop for unique shirts and souvenirs. There are many options for a drink and a bite in downtown Staunton. Yelping Dog Wine Bar is a nice spot for a glass of wine and a gourmet grilled cheese sandwich, or a cheese and charcuterie board featuring local cheese. The rich #9 with swiss, gruyere, and wine-braised onions; and the Triple M with mozzarella, meatballs, and marinara; will both warm your senses on a chilly day. 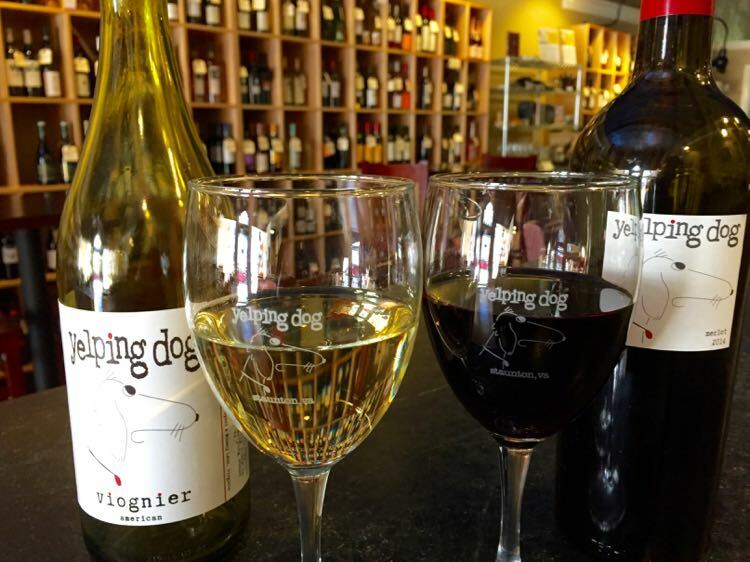 The house Yelping Dog white from Saint Michel and the red from Livingston, are great choices if you want to sample local Virginia wines. Many restaurants were packed during our busy weekend visit, and we weren’t able to get a table at the highly recommended Mill St Grill or ZYNODOA. Instead, we had pizza at Byers Bistro and tasty pasta at Emilio’s. You’ll find excellent local craft beer in a casual space at Redbeard Brewing Company. Sweet Potato Pie, a nod to the season and a break from the ubiquitous pumpkin beer was delicious, as were the two Moriartys with rye or bourbon. 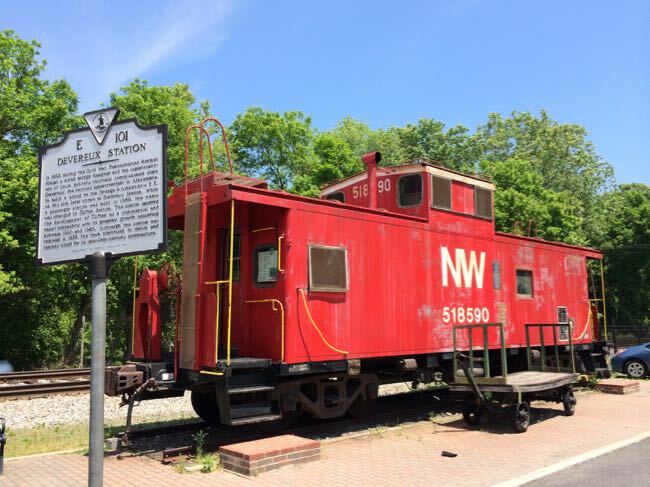 As with Waynesboro, lodging can be difficult to secure when Charlottesville is hosting large events, as the bookings spill over into nearby areas. 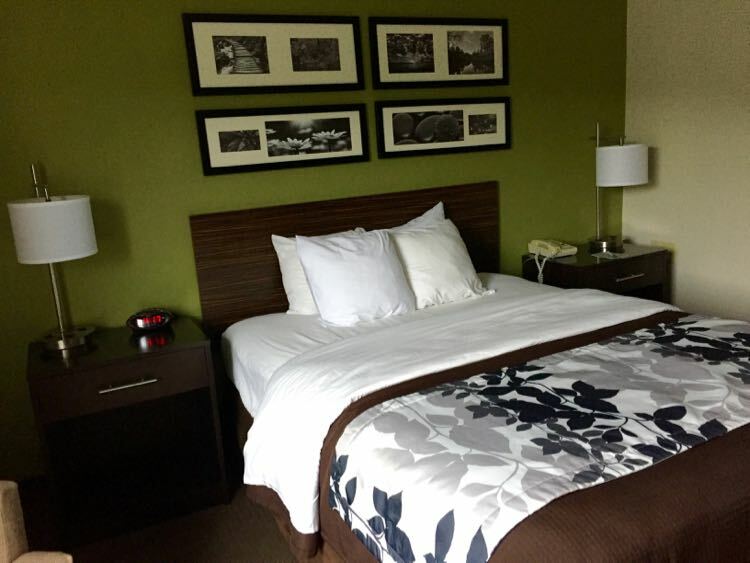 The Sleep Inn, Staunton, on the Jefferson Highway, offers clean, attractive, and comfortable rooms a short drive the downtown area. 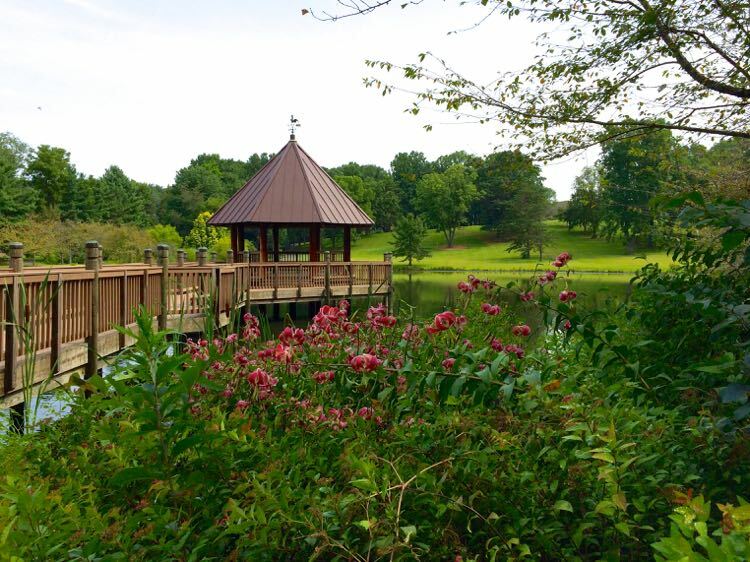 A few miles east of Staunton, Waynesboro is another good base for exploring the Shenandoah Valley. 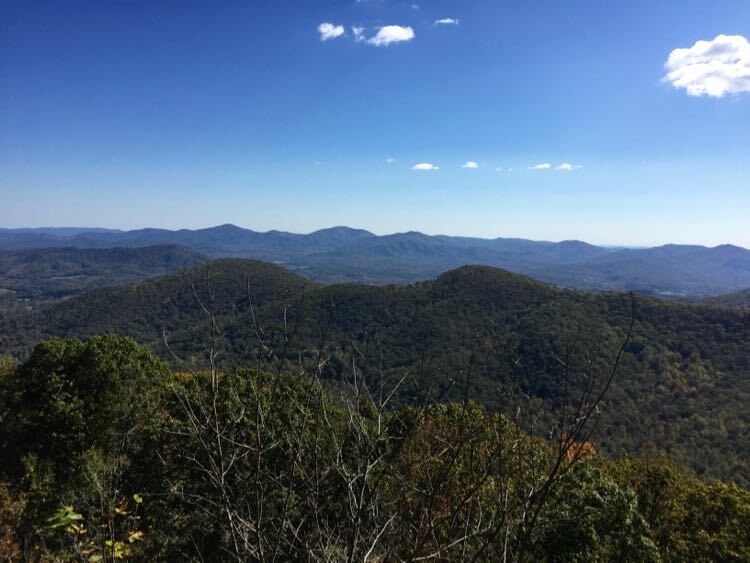 The town sits between Skyline Drive and the Blue Ridge Parkway, so it’s an excellent starting point for a scenic drive. The town’s location also provides a midpoint between Charlottesville and Staunton, making it a good base for events in either town. 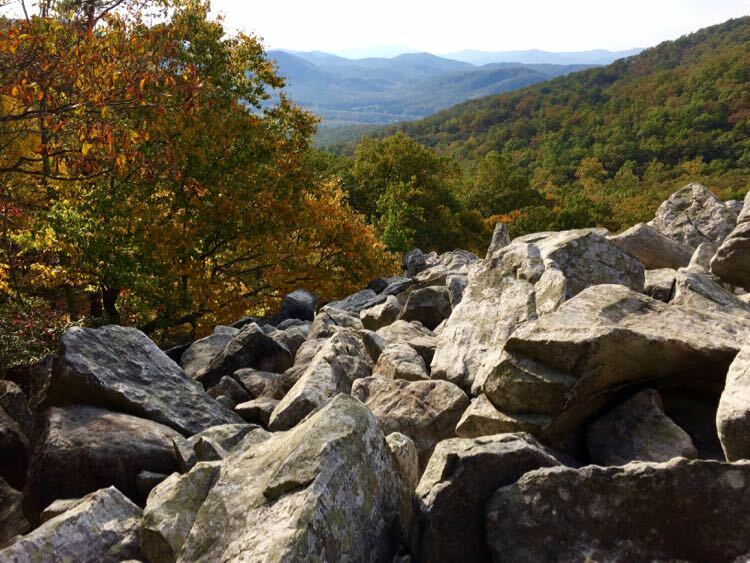 Start your Blue Ridge drive at the Humpback Rocks Visitor Center at mile 5.8, which includes a collection of 1890s farm buildings, a picnic area, and trail access. 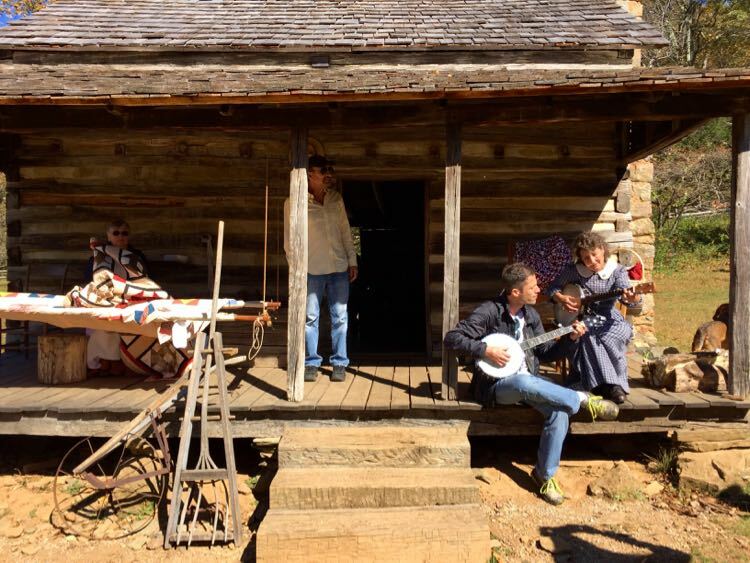 During the summer, you may see musicians and artisans performing period activities. 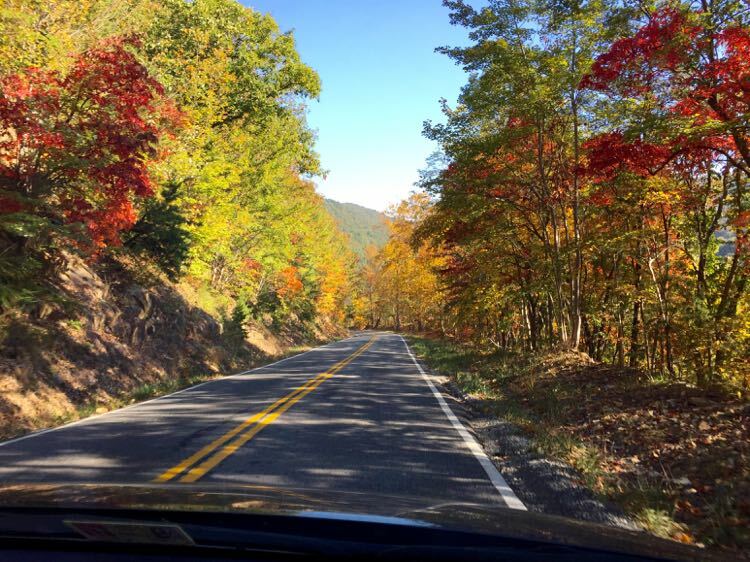 Drive south on the Parkway to enjoy the views from the road and overlooks. Several popular hiking trails leave from a parking area across from the Visitor Center. 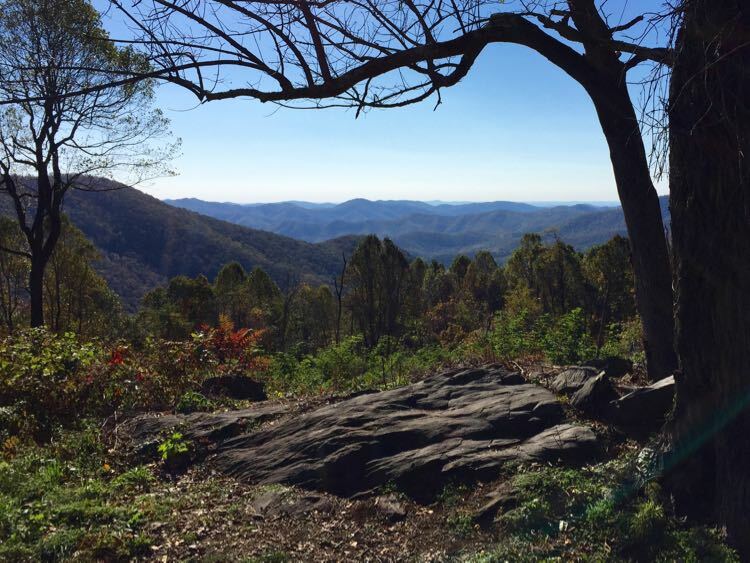 The John Albright Loop Trail is a moderate 3.5-mile loop hike which includes a spur trail to Glass Hollow Overlook. 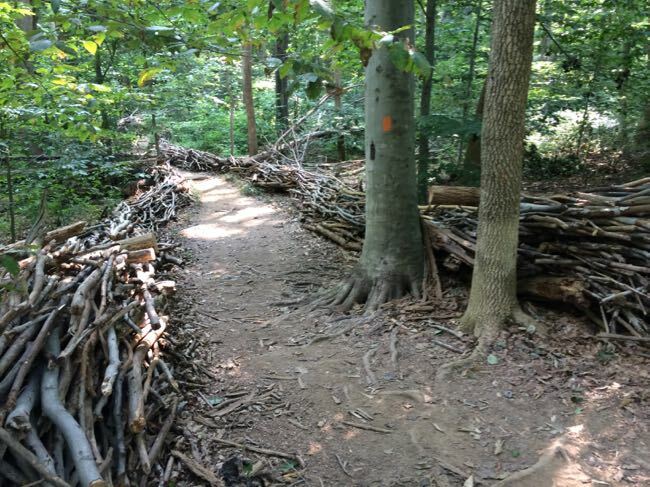 Alternatively, you can follow the AT to the overlook, reducing to a 3 mile out and back hike. 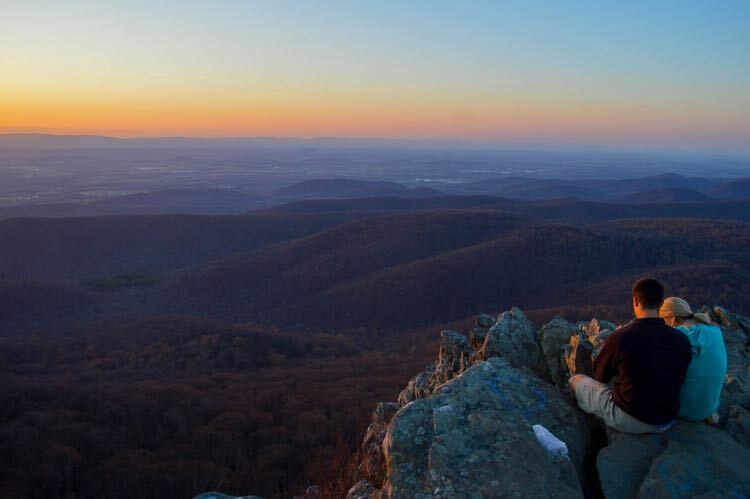 Finally, you can make the more challenging climb to Humpback Rocks overlook and summit, to enjoy gorgeous westward views of the Shenandoah Valley. 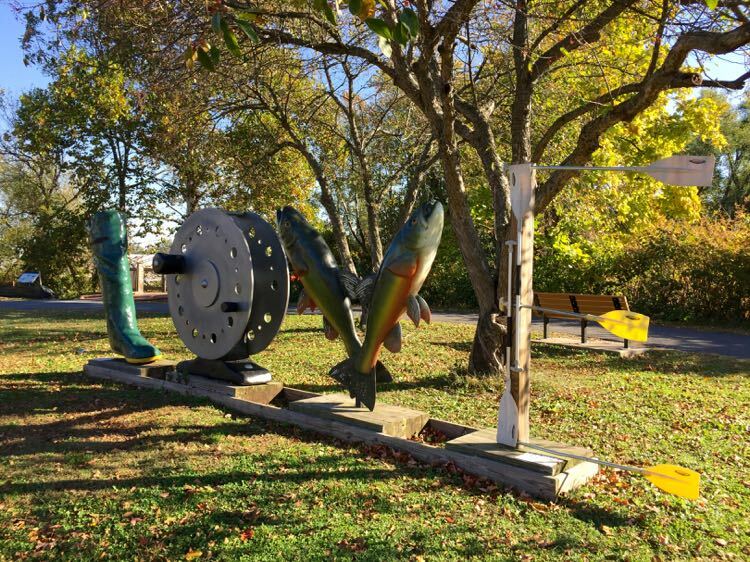 Back in town, be sure to stop at Constitution Park for pictures of the fishing inspired LOVEwork. The park also offers a picnic spot, short riverside hike, and river access for fishing and paddling. 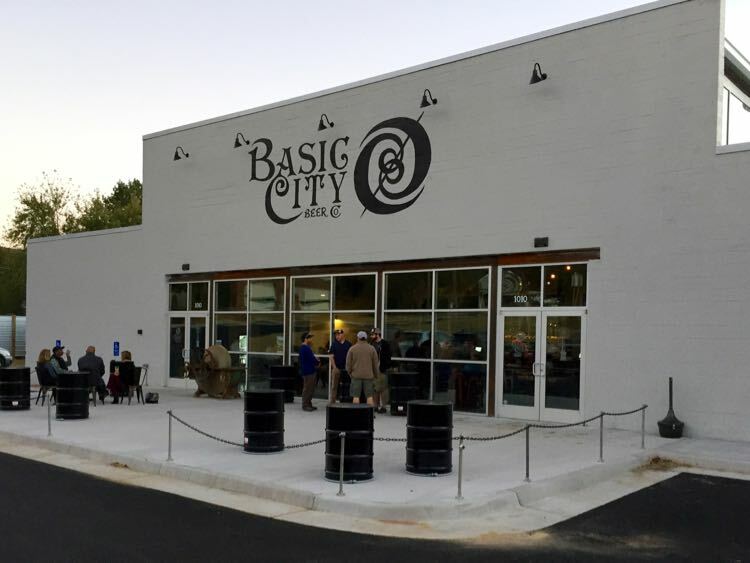 Basic City Beer Company occupies a former iron foundry, renovated by brother/owners Bart and Chris who even created tables using reclaimed wood and pipes from the building’s sprinkler system. Every craft beer we tried was wonderful, but we particularly liked the Oopsprach Lager and the N & W Porter. Food trucks are often on hand, there’s a spacious game room with a giant movie screen, and showers are available for AT through-hikers taking a break from the trail. 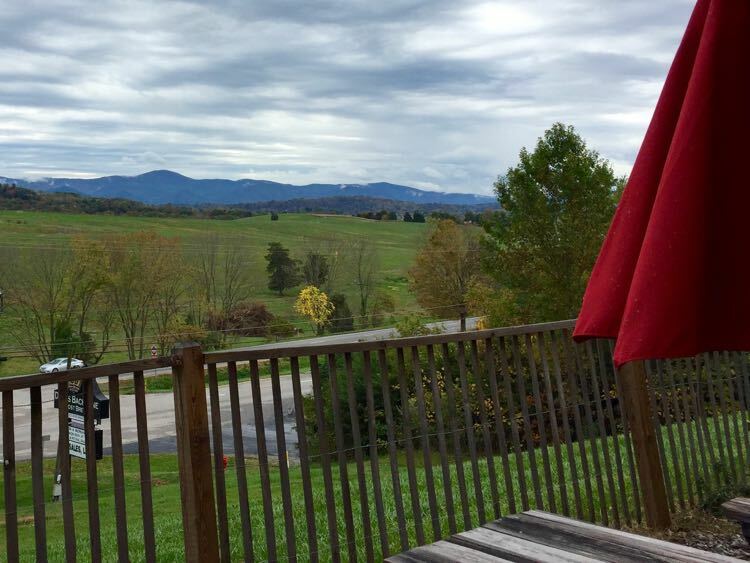 A short drive into the country leads to one of the prettiest Virginia farm breweries we’ve visited. Craig Nargi opened Stable Craft Brewery in 2016 after years of as a chef and horse farmer. The tasting room occupies a pretty barn, with hints of the stalls still visible. A delicious beer-inspired menu pairs perfectly with the wide range of beers on tap. Every beer we tried was tasty, and we particularly liked the Appalachian Divide Ale and the Night Latch American Stout. Outside there are fire pits, games, and gorgeous views all around. Note that Stable Craft is a working horse farm and dogs are not allowed on the property. 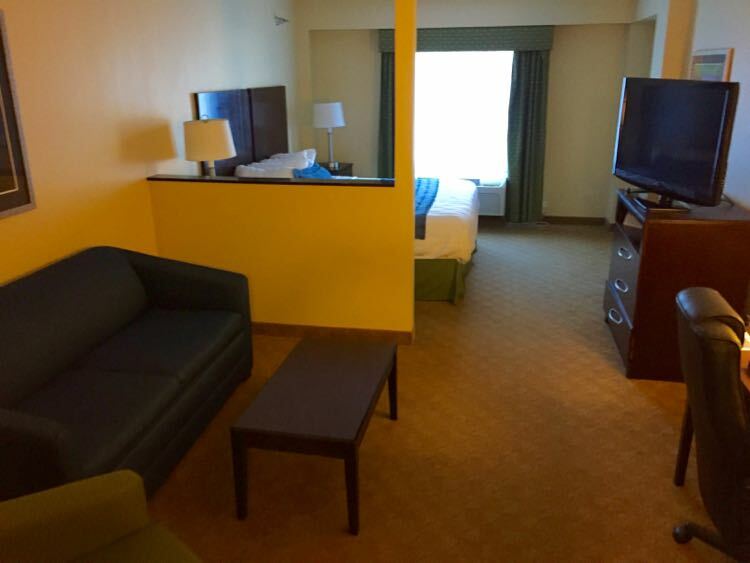 The Best Western Waynesboro is a good choice for a spacious, comfortable room at a good rate with breakfast included. The location along route 64 allows easy access to the Blue Ridge Parkway. 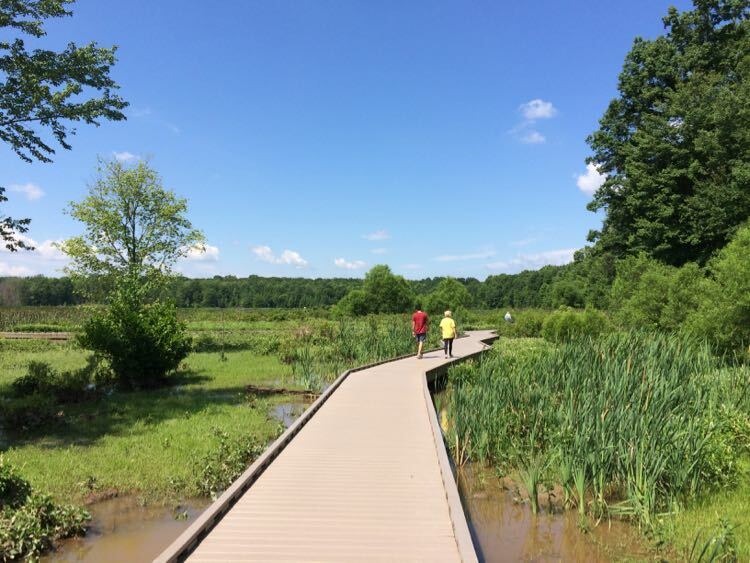 There are several fun roads for the drive south to Lexington, perfect for avoiding the highway and exploring the countryside. You could drive south on the Blue Ridge Parkway, exiting at Snowden, or follow historic route 11 as it parallels 81. 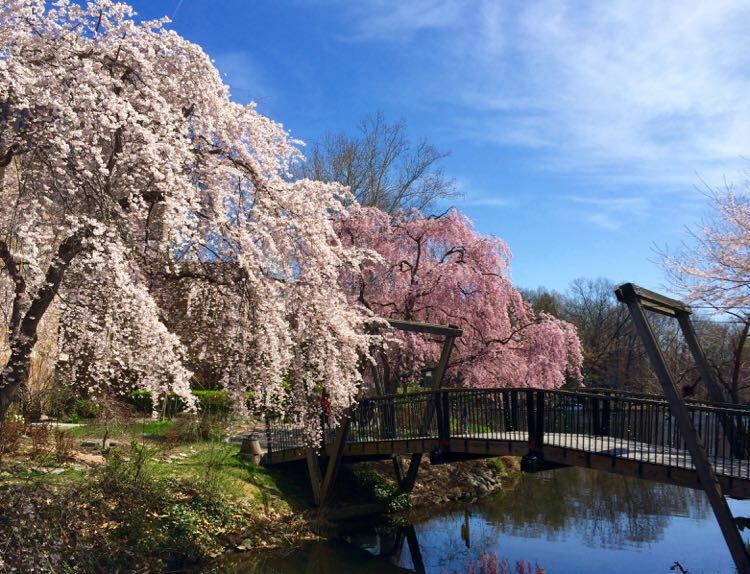 If time allows, we recommend a scenic drive on route 252, with a short side trip to Wade’s Mill. 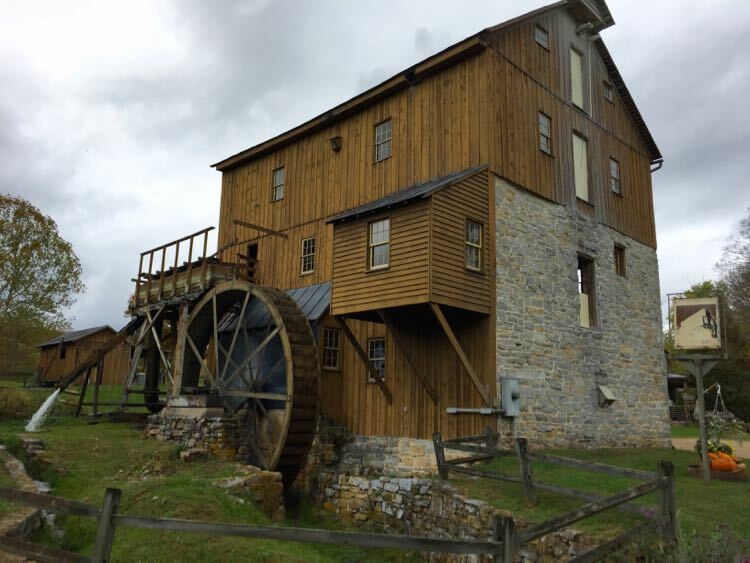 The beautiful, working mill produces and sells flour, grits, and cornmeal made with local grains. They also sell jams and the southern most maple syrup, produced in Bolar Virginia. Lexington’s downtown is a lovely, walkable area full of unique shops, tasty dining, and interesting history. Tour the Stonewall Jackson House to learn about Confederate General Thomas “Stonewall” Jackson before his commanding role in the US Civil War. Jackson lived two critical years of his private life in the Lexington home. Original and period furnishings help docents tell the story of Jackson’s dedication and industry, and of the lives of his family and the enslaved people who worked in his house. 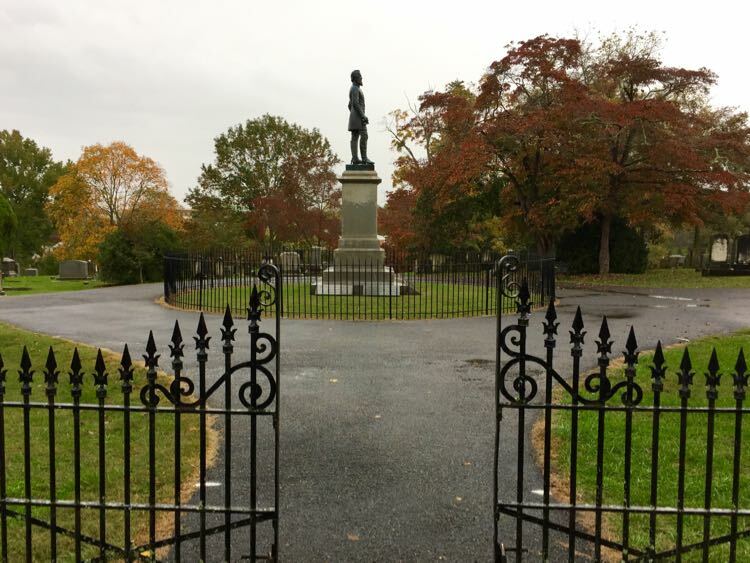 The nearby Stonewall Jackson Cemetery includes a monument to the general, Jackson’s family plot, and other historic markers. 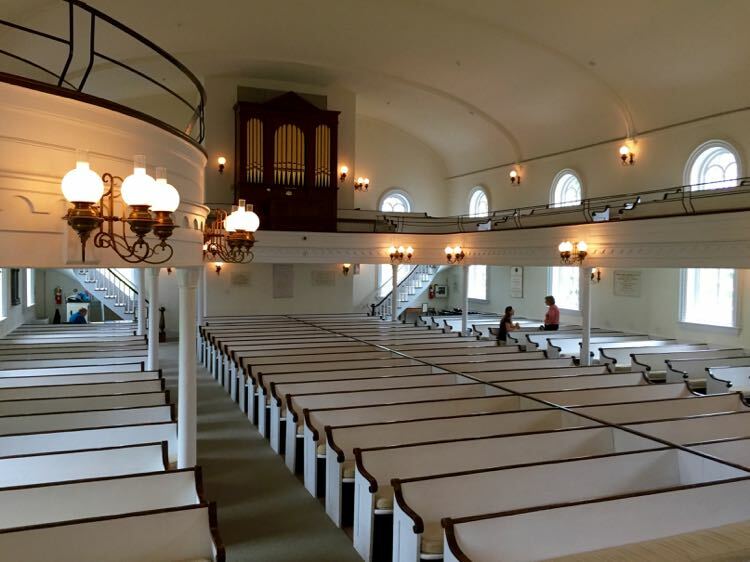 Lee Chapel and Museum, on the grounds of Washington and Lee University, honors the life of Robert E. Lee, who became the school’s President after the Civil War. At the back of the beautiful chapel is Lee’s tomb. Exhibits in the museum downstairs highlight George Washington and Robert E. Lee’s dedication to education as a key to building and growing the nation. 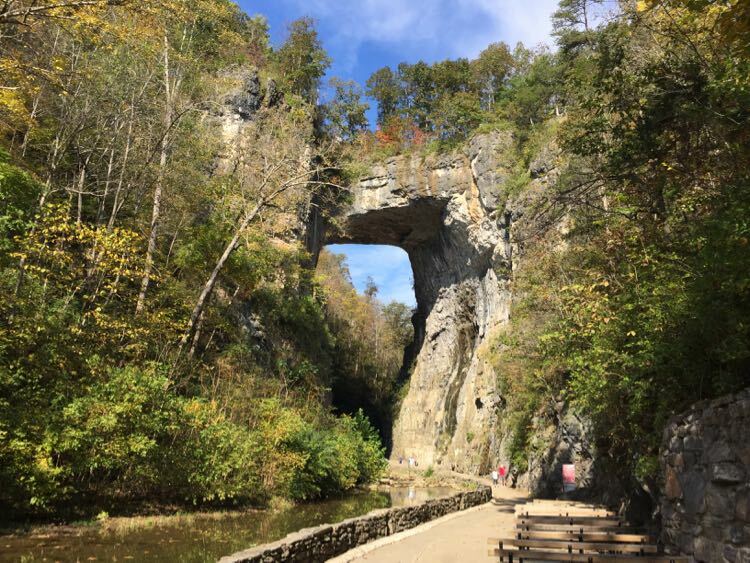 Just 15 miles south of Lexington you’ll find Natural Bridge State Park, which recently changed from private ownership to become the newest Virginia State Park. The highlight of any visit is the 500 million year old bridge—215 feet high, 40 feet thick, and 100 yards wide. The natural formation is so large and sturdy that route 11 actually passes across it’s top (sorry, no viewpoint from the road). Visitors can reach the bridge via a long series of steps or by shuttle bus. 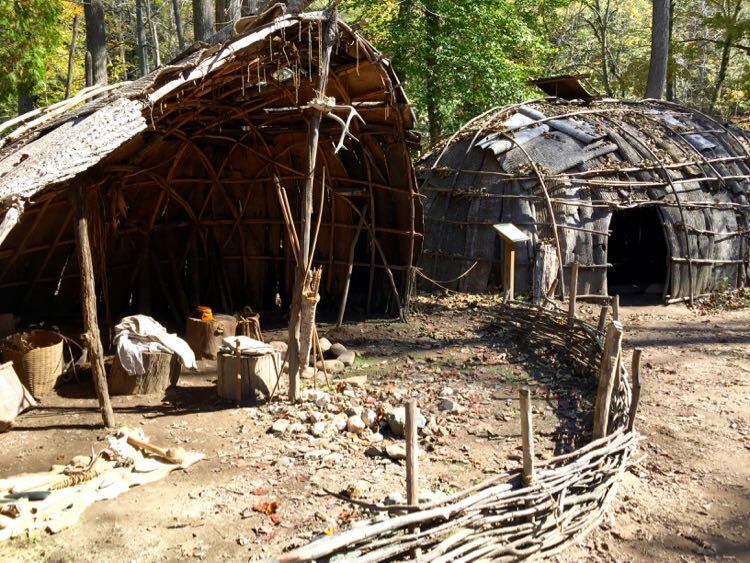 Allow time to walk under and beyond the bridge to visit the excellent Monacan Indian Living History Exhibit. The Cedar Creek Trail continues to a saltpeter mine and Lost River, and ends with a pretty view of Lace Falls, about .8 miles one way. There are 6 miles of trails in the park if you want to do more hiking. 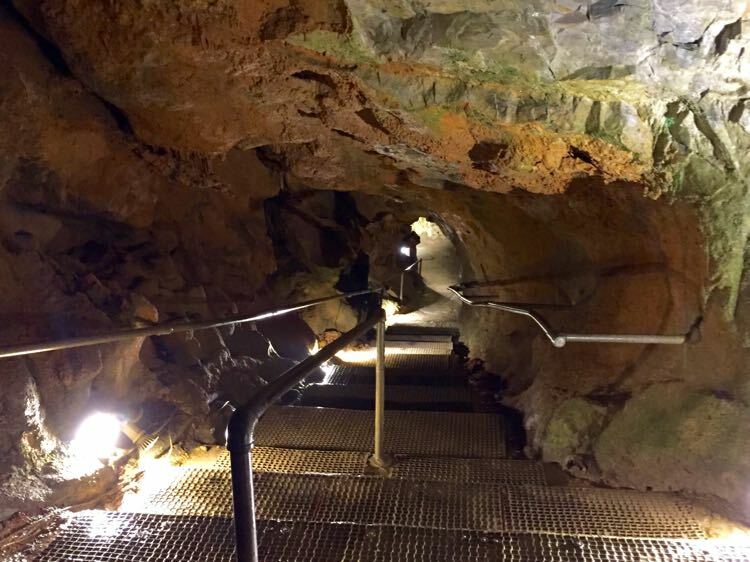 Once you’ve seen the geological wonders above ground, it’s time to head below on a tour of the Caverns at Natural Bridge. The fascinating 45-minute tours guide visitors along tunnels, rooms, ponds, and formations that continue to develop and change today. Bring a jacket—the temperature remains a constant 54 degrees in the caverns. If you visit the Caverns first, you can purchase a discounted combination ticket with Natural Bridge State Park. If you’re looking for a more challenging hike, we highly recommend climbing the Belfast Trail to Devil’s Marbleyard. 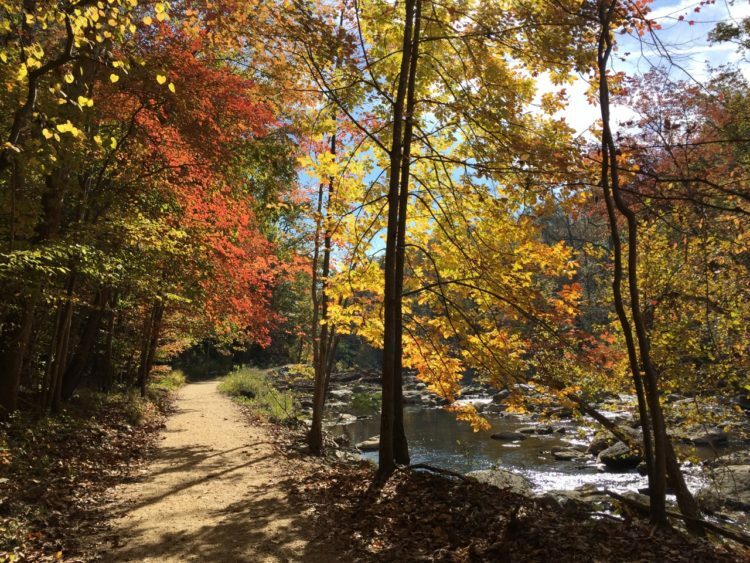 The trail is part of the James River Face Wilderness area, and offers a fairly steep 1.4 mile climb to an area strewn with huge rocks that are fun to explore, and offer beautiful mountain views. Like most college towns, Lexington offers a nice range of dining options. If you like fried chicken you should head to the Southern Inn Restaurant for their crispy, moist, classic. The Bistro on Main is a good pick for lunch featuring delicious salads, soups, and sandwiches. After your meal, stop at Sweet Things Ice Cream Shoppe for rich, tasty homemade ice creams and sherbets. 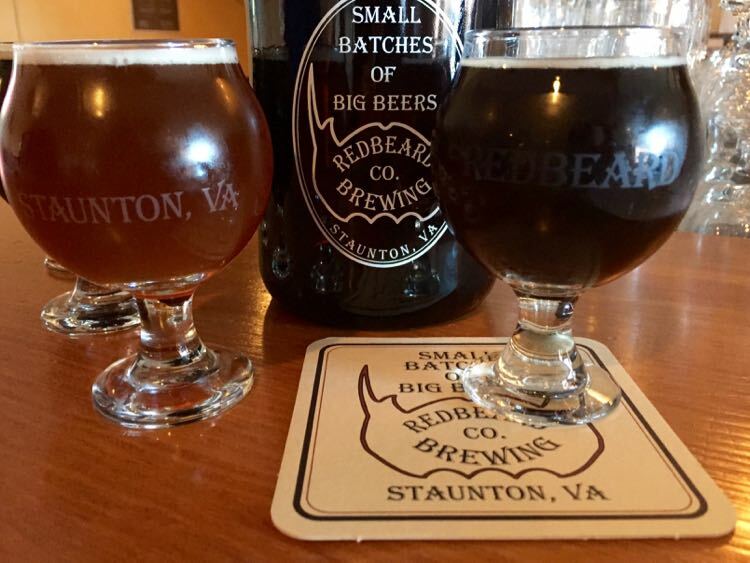 Lexington is on the Shenandoah Beerwerks Trail, and beer lovers can sample Virginia craft brews at several locations in and near town. Stop at Blue Lab Brewery in downtown Lexington to enjoy a range of beers and their popular trivia nights. North of town, Devils Backbone Outpost Brewery & Tap Room, offers their flagship Vienna Lager along with a nice range of their other brews. If the weather is good, enjoy your pint with lovely mountain views on the back patio. 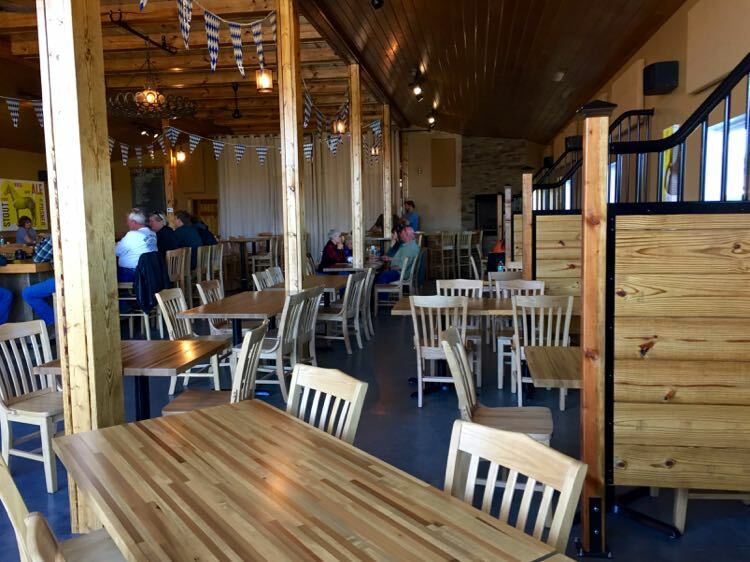 In Natural Bridge, the new Great Valley Farm Brewery serves local beer with a view. Natty B’s General Store and Cafe, is a good stop for sandwiches and snacks near the state park. 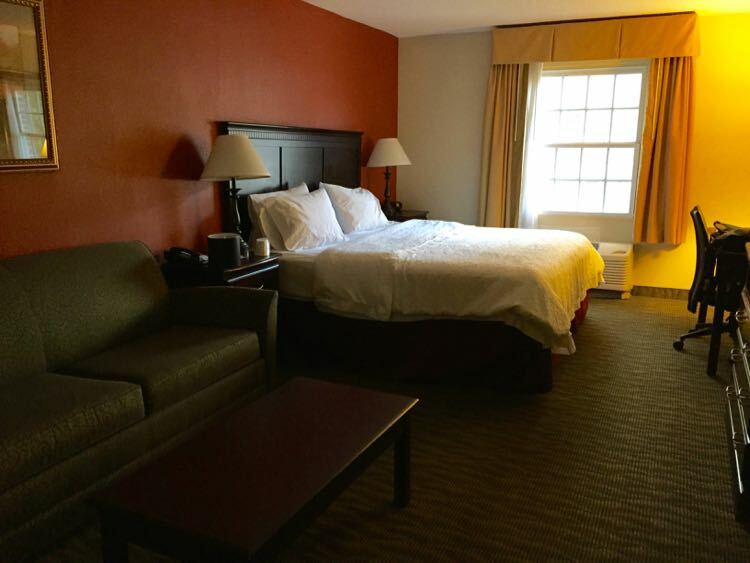 The Hampton Inn Lexington is not your typical chain hotel property. Housed in a manor house known as the Col Alto Mansion, you’ll find historic touches, comfortable rooms, and a convenient location on the seven acre property. Most rooms have a contemporary design, but there are 10 restored manor rooms available, some with period decor. Natural Bridge Historic Hotel is right next to the entrance to the state park, offering a unique spot to overnight when you visit Natural Bridge. Take it slow. 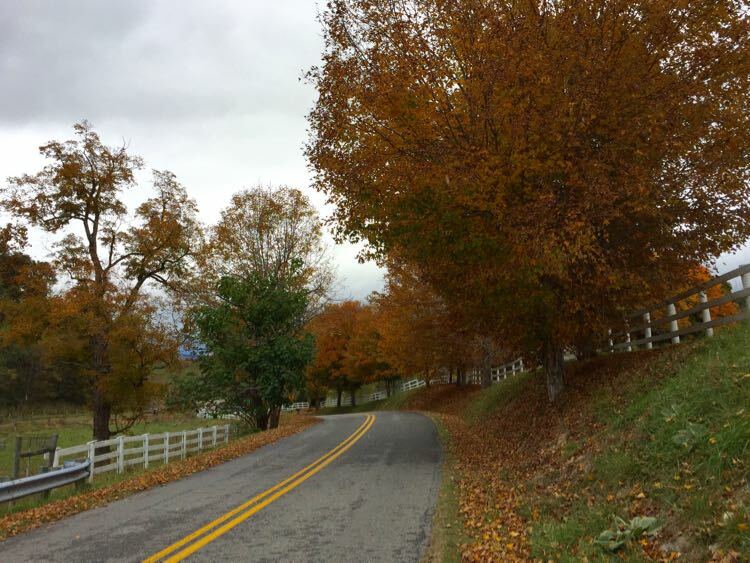 The beauty of a road trip through southern Shenandoah Valley is the change to see and experience something new. 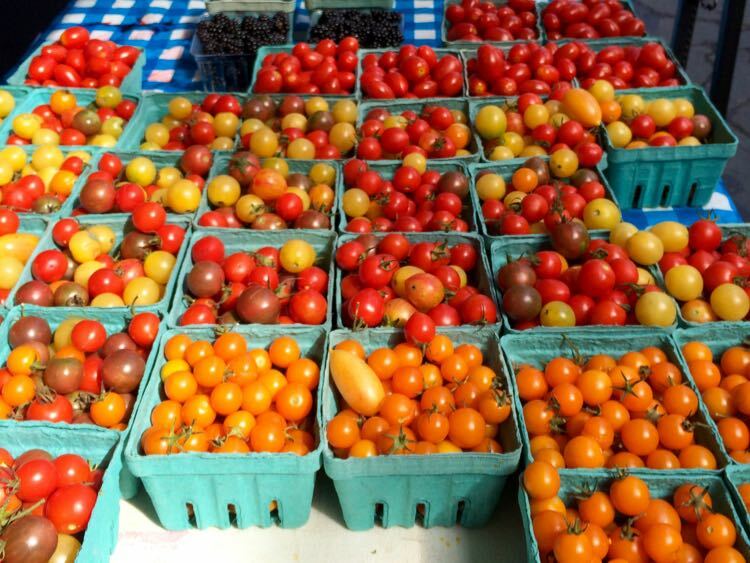 Enjoy the country roads; stop at a farm stand; visit a brewery; poke around a small town. Extend the fun. If you allow extra time you can extend your road trip into northern Shenandoah Valley or east onto Skyline Drive. 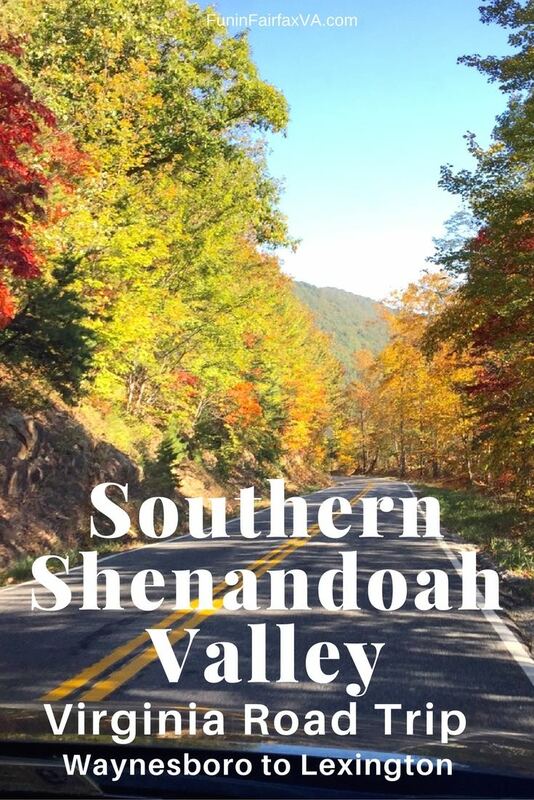 Have you explored the Southern Shenandoah Valley of Virginia? 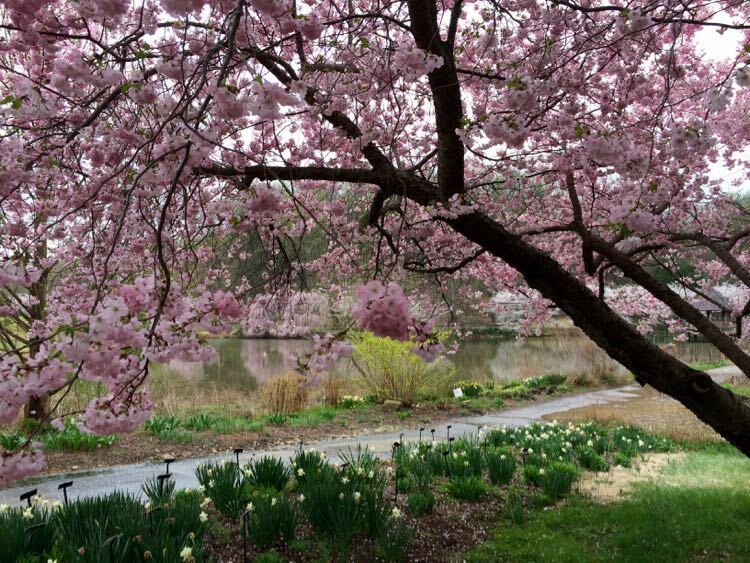 We’d love to hear your tips on favorite stops for our next visit. 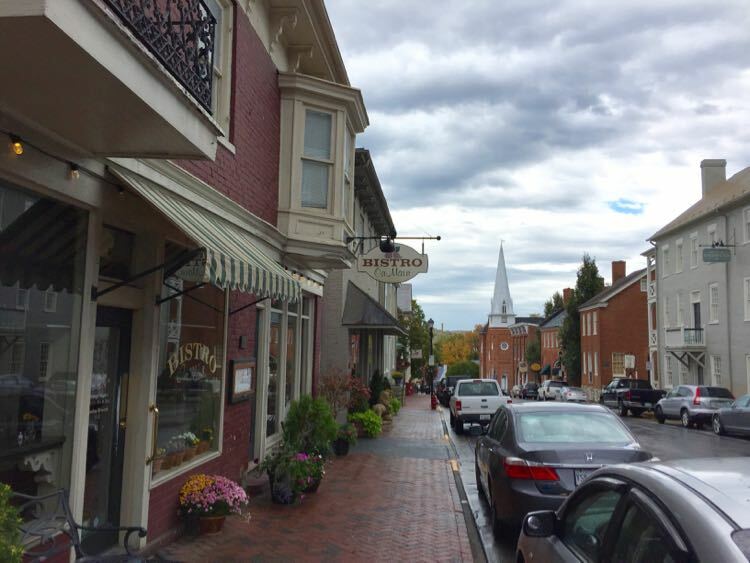 Portions of our Southern Shenandoah Valley road trip were hosted by Waynesboro Tourism, Rockbridge County Virginia, Visit Staunton, and Visit Lexington. Hope you get a chance to visit Virginia, Doreen. It’s a beautiful state and a great base for exploring DC too. I’m with you on the wine, beer, and chocolate! Thanks. This post reminds me why I LOVE VIRGINIA so much! It’s such a gorgeous state with plenty of adventures in driving distance! We absolutely agree Liz. We’ve lived here more than 20 years and are still finding new fun all the time. Virginia is an amazing state!